Leicester is a fine city, it has a lot to offer the Medieval enthusiast! 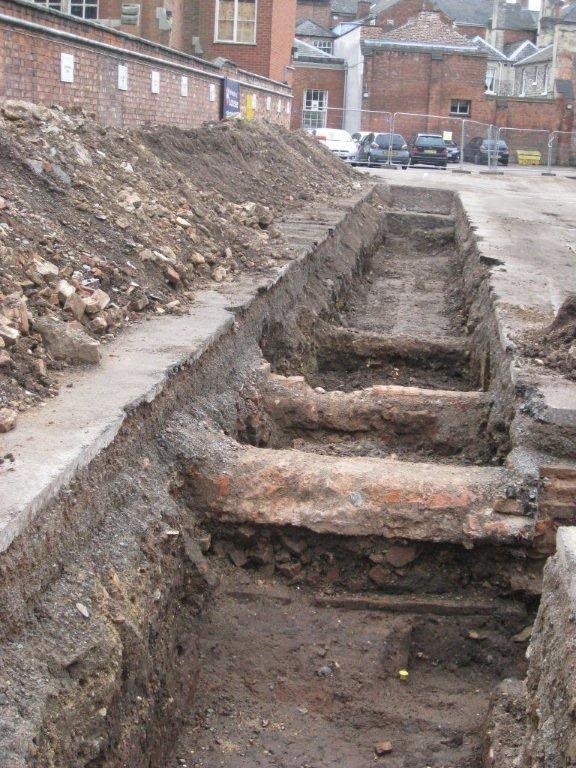 Recently there was much national, and indeed global, excitement when the presumed remains of King Richard III were discovered beneath the tarmac of a Leicester car park. 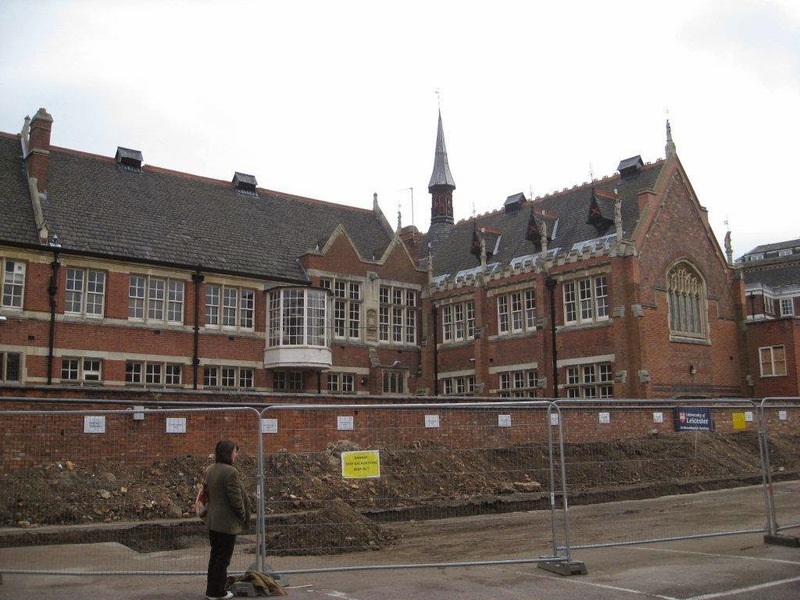 The discovery of an almost complete skeleton was later confirmed by the University of Leicester to be Richard III, based on several combined lines of evidence - historical, archaeological and scientific . The last Plantagenet King of England died in battle on Leicestershire's Bosworth field in 1485 at the age of 32, defending his crown against Henry Tudor. The latter was the victor, becoming Henry VII and founder of the Tudor dynasty. I was particularly taken with the beautiful stained glass windows dating, it is thought, from around 1500. On closer inspection as an added bonus there was engraved graffiti from the 1800's. The vandals usually left their names and dates, but one wrote that the "..glazier is a fool.." Rather harsh I thought! What remains of the origin window designs is thought to represent seasons of the year according to the Medieval agricultural calendar. This panel shows a peasant harvesting long stalked wheat with a scythe. (By comparison today's wheats, selectively bred, are much shorter.) Autumn harvest was an important and probably exhausting time. But once the harvest was safely gathered into the Manor or Abbey granaries there was much feasting and merry making by peasants courtesy of their Lord. Autumn aside, "villeins" had no choice but to work many days a week for their Lord, with little time spent on theie rented strips of land. In effect they provided slave labour. "Freemen", also peasants, earned a living from land they rented, but were obliged to give several days' labour without pay to their Lord at harvest time. Most wheat was sold for profit to be consumed in the towns of cities. White, or more likely grey, "manchet bread" containing a high proportion of wheatmeal or flour was eaten only by "gentlemen". The lower social classes ate "maslin" bread with a much higher proportion of rye or barley than wheat, resulting in a heavy, dark loaf that wore down the teeth! If you get a chance to visit Leicester you should do so - it really is a fine city. And it just happens to be the home city long connected with the Thornton side of my family. My father and uncles - the four sons of a (steam) engine driver - all won county scholarships and attended Leicester's Wyggeston Grammar School for Boys during the 1920-40s. My father read for an external degree in mathematics at University College, Leicester - the University did not receive its own charter and was unable to award its own degrees until 1957. He proceded to do his teaching practice at Leicester Grammar School, then located next to the Cathedral. He was actually learning his profession a mere stone's throw from the hastily interred, last mortal remains of heroic Richard III.